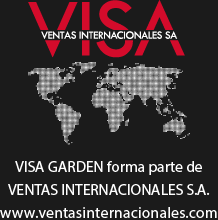 Commercial Name: VENTAS INTERNACIONALES S.A. The PROVIDER offers users this document with which it intends to fulfil the obligations set forth in Law 34/2002, on Services of the Society of Information and Electronic Commerce, and to inform all the users of the website regarding the conditions of its use. Any person accessing this website assumes the role of user, and therefore agrees to obey and strictly comply with the provisions set forth herein, as well as any other legal provision that may be applicable. The PROVIDER reserves the right to change any type of information that may appear on the website, without there being an obligation to pre-advise or inform the users of said obligations, with publication on the PROVIDER’s website being understood as sufficient. The PROVIDER is exempt from any type of liability derived from the information published on its website, whenever such information has been manipulated or introduced by a third party. It is possible that clients may be redirected from the website to content of third-party websites. Given that the PROVIDER cannot always control the contents introduced by third parties on their websites, it does not assume any responsibility for them. In any case, the PROVIDER states that it will proceed to immediately withdraw any content that may contravene national or international legislation, morality or public order, and will proceed to the immediate elimination of the redirection to said website, informing the competent authorities of the content in question. The PROVIDER accepts no responsibility for the information and content, by way of example without limitation, stored in forums, chats, blog generators, comments, social networks or any other means that allows third parties to publish content independently on the PROVIDER’s website. However, in compliance with the provisions of art. 11 and 16 of the LSSI-CE, the PROVIDER offers itself to all users, authorities and security forces, collaborating actively in the withdrawal or blocking of any content that may affect or contravene national or international legislation, third parties rights or morality and public order. In the event that the user considers that there is any content on the website that could be susceptible to such a classification, they are requested to notify the website administrator immediately. This website has been reviewed and tested to ensure that it works properly. In principle, correct operation can be guaranteed 24/365. However, the PROVIDER does not rule out the possibility of there being certain programming errors, or that there might be causes of force majeure, natural disasters, strikes, or similar circumstances that make it impossible to access the website. The SERVICE PROVIDER is deeply committed to fulfilling the regulations on the protection of personal data and guarantees full compliance with the obligations set out in Regulation (EU) 2016/679 of the European Parliament and Council of 27 April 2016 regarding the protection of natural persons with respect to the processing of personal data and their free circulation. Personal data are understood to be all information about an identified or identifiable natural person (party concerned); in other words all information capable of identifying a person. The personal data that the party concerned provides freely, unequivocally and voluntarily, will be processed in a file for which the SERVICE PROVIDER is responsible. The data will be treated legally, loyally and transparently. The processed data are those received through the forms appearing on the website and will only be used for the purposes for which they are collected. The purpose of the treatment is to attend requests that you make of us and to provide you with information concerning the products of the SERVICE PROVIDER, and to send you commercial communications by email or any other equivalent electronic means of communication (such as SMS), to which you give your free, clear, unequivocal and voluntary consent. When it is necessary for our or a third party’s legitimate interest. Your personal data will be held for such a time as is strictly necessary for the purpose for which they are being processed. Your data will not be transferred to third parties, except legal obligation. Right of access: the right to be informed and to ask for access to the collected personal data. Right of rectification: the right to ask for the collected personal data to be corrected or updated when they are imprecise or incomplete. Right of cancellation: the right to ask for your personal data to be eliminated. Right of opposition: the right to ensure that your personal data are not processed or that such processing should cease. Right of limitation: the right to ask for the processing of your data to be temporarily or permanently halted. You are also entitled to the portability of your personal data. If you should wish your data to be processed by another company, the SERVICE PROVIDER will provide for the transfer of your data to the new responsible party. All lack of reply by the SERVICE PROVIDER to a request from the party concerned is equivalent to refusal of the right requested by the party concerned and enables the latter to start a procedure of safeguarding of rights with the Spanish Data Protection Agency. The SERVICE PROVIDER has taken all appropriate security measures to avoid your personal data being accidentally lost, used or accessed without authorisation, modified or disclosed. We have also implemented procedures to deal with any suspected infringement of your personal data. If any breach of security should occur, the SERVICE PROVIDER will notify the party concerned and the Control Authority within 72 hours. The website, including but not limited to its programming, editing, compilation and other elements necessary for its operation, designs, logos, text and/or graphics are the property of the PROVIDER or third parties collaborating with it if indicated, and, where applicable, are expressly licensed or authorised by their authors. All the contents of the website are duly protected by the rules of intellectual and industrial property, and are registered in the corresponding public registers. Regardless of the purpose for which they were intended, the total or partial reproduction, use, exploitation, distribution and marketing of the property in any case requires prior written authorisation by the PROVIDER. Any use not previously authorised by the PROVIDER will be considered a serious breach of the intellectual or industrial property rights of the author. The designs, logos, text and/or graphics not belonging to the PROVIDER and that may appear on the website belong to their respective owners, who are themselves responsible for any possible controversy that may arise with respect to them. In any case, the PROVIDER is expressly and previously authorised by them. The PROVIDER acknowledges all corresponding industrial and intellectual rights over property to their owners, which does not mean that the mere mention or appearance of said property on the website implies the existence of rights or any responsibility of the PROVIDER over it, or the endorsement, sponsorship or recommendation thereby of the same. Spanish legislation will apply for the resolution of all disputes or issues related to this website or the activities developed therein, a legislation to which the parties expressly submit, the Courts and Tribunals of Barcelona being competent to resolve over all disputes arising or related to their use.